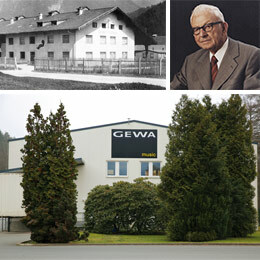 GEWA was founded in 1925 by Georg Walther in the area called “Wogtländischer Musikwinkel” in and around Adorf, Germany - a region in Saxony famous for musicians and musical instruments. From the beginning, continuous improvement of our products and the needs of our individual customers have been our top priorities. Today, the GEWA company not only has subsidiaries in all major markets, but also holds substantial shares in Asian factories of musical instruments that enable a world-wide marketing of lots of GEWA products. GEWA music USA was formed in 2018 in partnership with Nova Strings, a full line wholesaler of orchestral string instrument accessories. We are located in Gaithersburg, MD, a northern suburb of Washington DC.